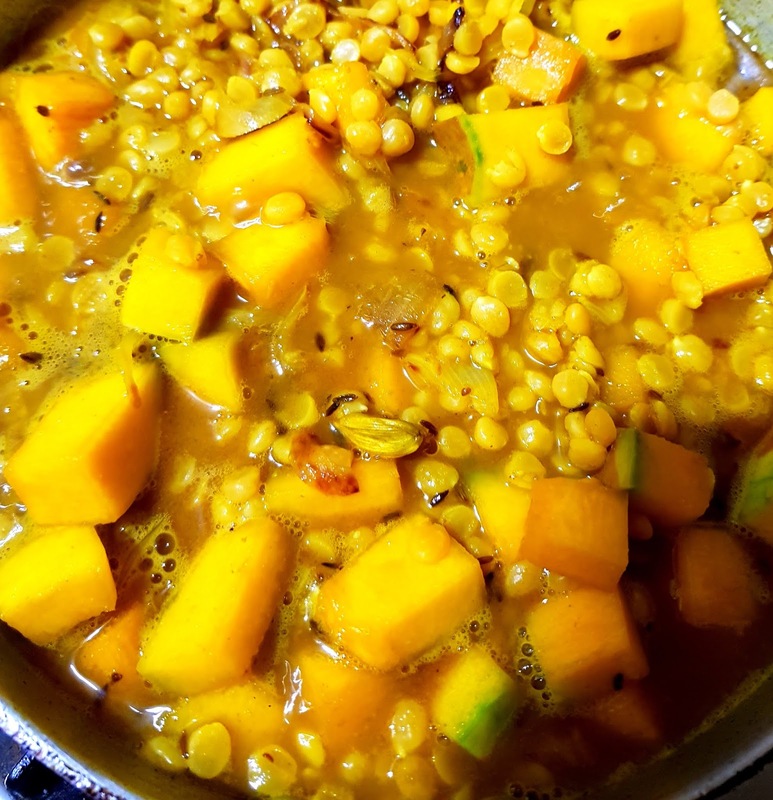 Mixing dal (pulses) and vegetables to make a new dish is not a new trend. 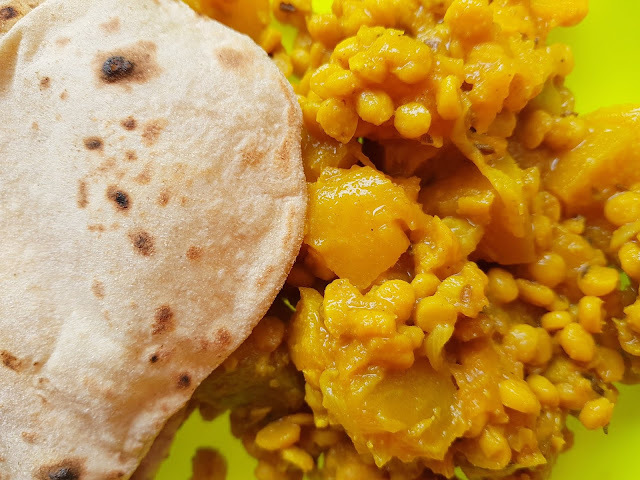 But how to make a tasty dish and how to pair the right dal with a vegetable can be tricky. 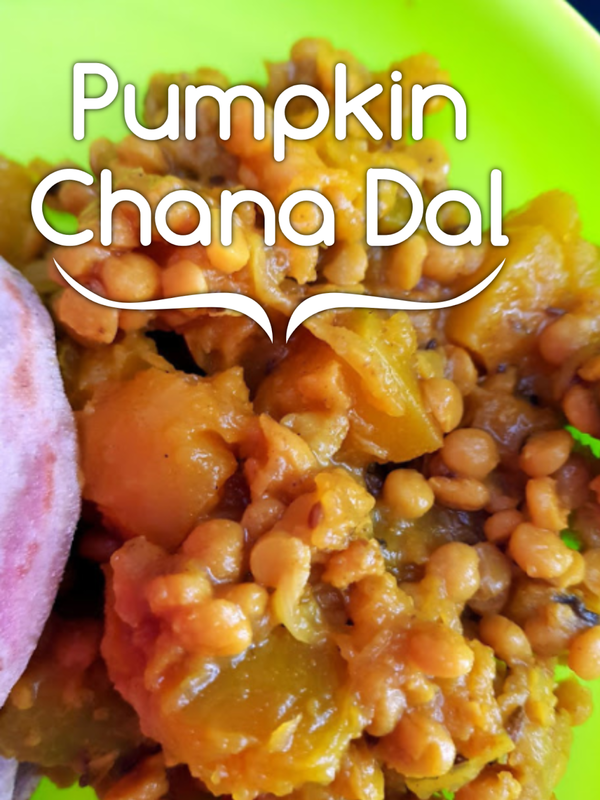 Today, I bring to you all an often repeated preparation at my home especially for tiffin purposes - Pumpkin Chana Dal Sabzi. In a pressure cooker, add chana dal and 4 cups of water. On high heat, cook till one whistle. Do not open the lid or let the steam escape. Temper the whole spices like zeera, sauf, laung, cinnamon and elaichi. 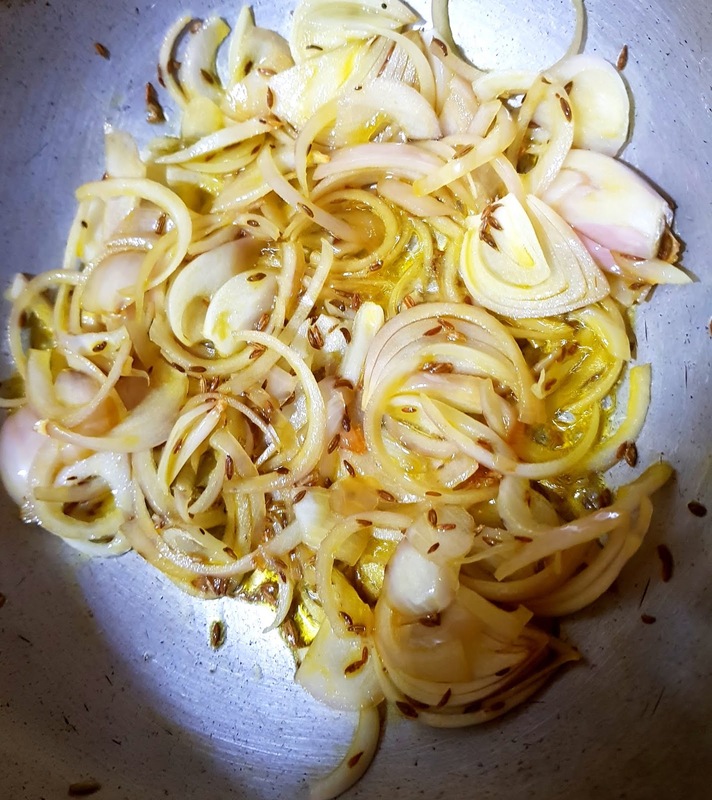 As soon as they emit an aroma, add the onion slices and fry till they turn brown. 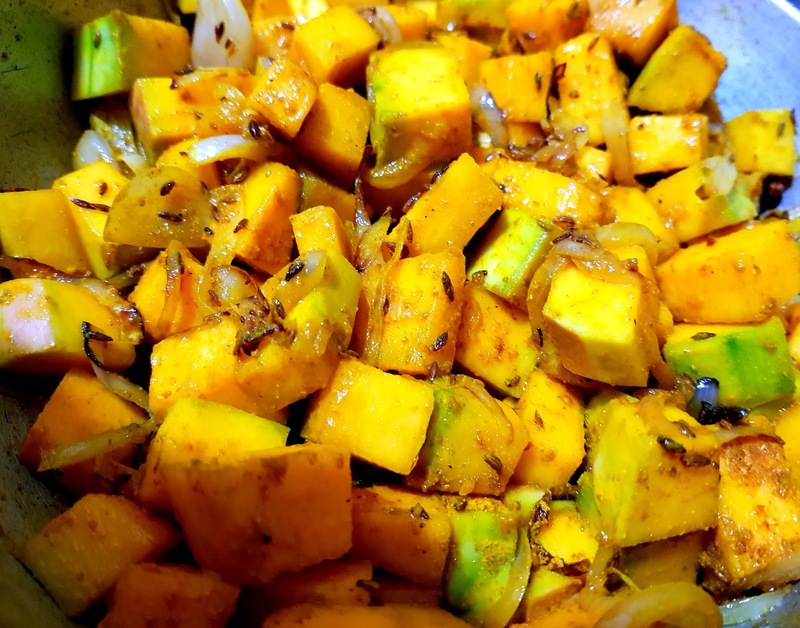 Add the pumpkin cubes and green chillies. Add the powder spices like haldi, garam masala powder, cumin powder and salt. Stir for another 3-4 minutes. 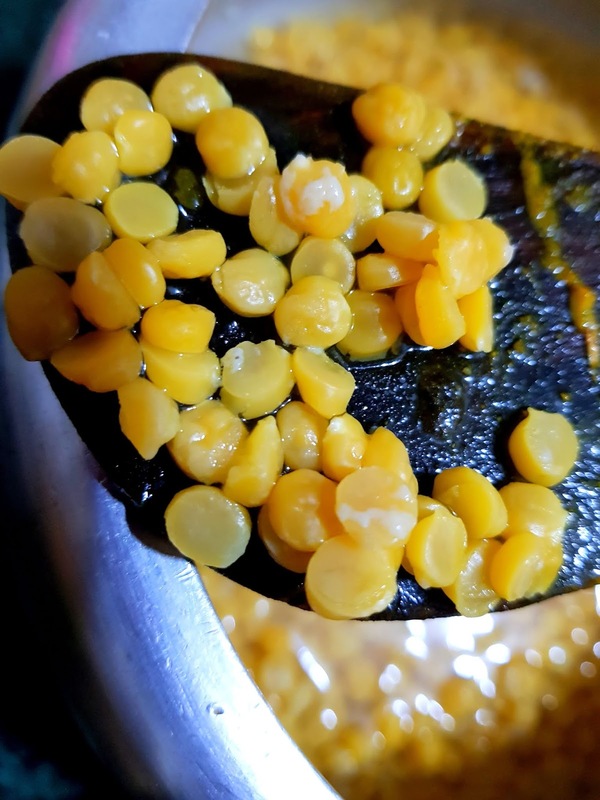 Open the pressure cooker and see that the dal has not disintegrated into the water. Add all the chana dal and its water to the pumpkin stir-fry. Add some more water if needed to cook the dal and vegetables. 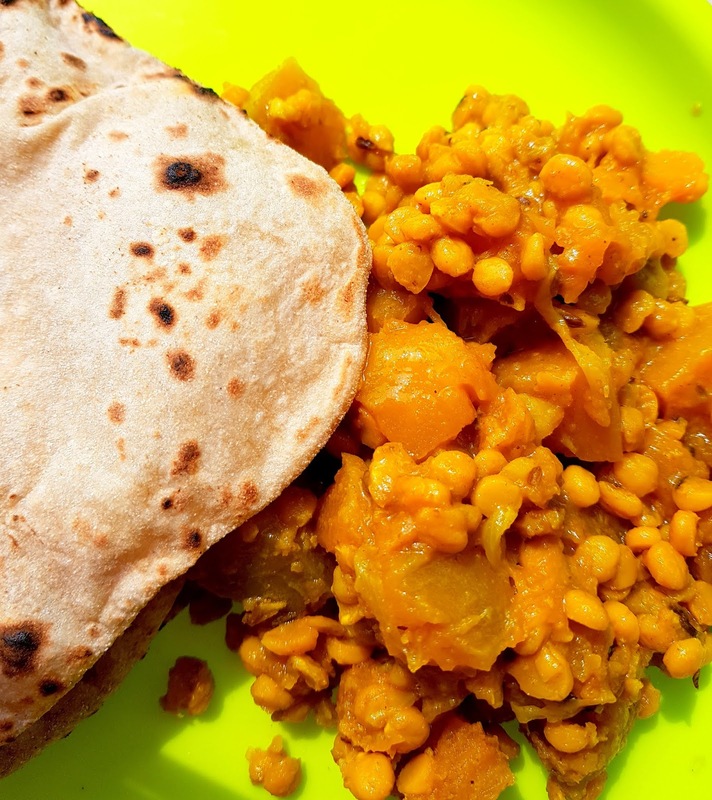 However, ensure that the dal and vegetables should not be cooked till mashed. Cover and let the dish cook over low heat for 10 minutes. The finished dish must not be runny. 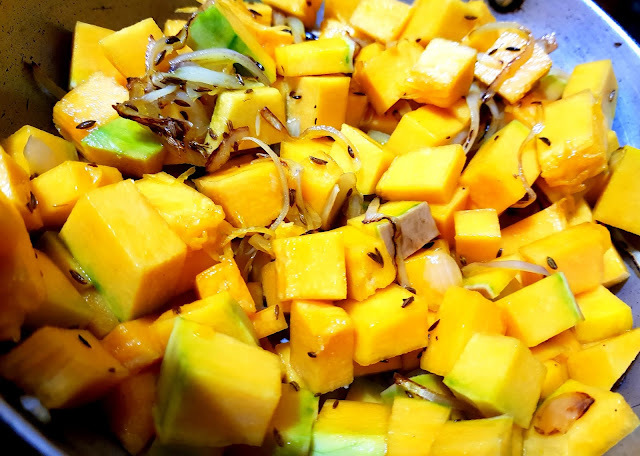 And, both dal and vegetables must retain their shape and texture. 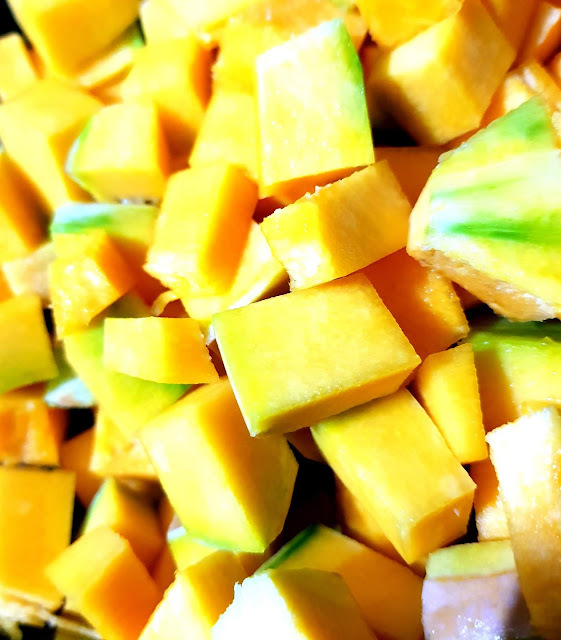 Serve warm with paratha, roti or puri. It can even be stuffed into bread and made into a sandwich.